Rofous Software is hiring fresh BE/ Btech/ BSc/ MSC/ MCA/ MBA passouts through walkin for the current positions in the company. The Company is organising a walkin interview for hiring of freshers. Qualification : Candidate should be possessing B.E. / B.Tech. / B.Sc. / M.Sc. / MCA / MBA or any equivalent degree. Posted in Computer Science, Freshers, IT, Job After Btech, MBA, MCA, Software Development, Walkins, With experience, Without Experience. Tags: B tech, B.E, MBA recruitment, MCA, Rofous Software Hyderabad, September 2010, Software Engineer hiring, Walkin for freshers on September 3, 2010 by Lalit Joshi. 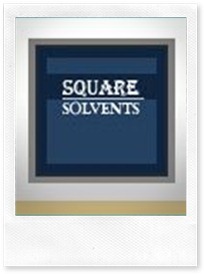 B.E/ B.Tech/ M.E/ M.Tech/ MCA required in Square Solvents. SQUARE SOLVENTS(S2) is geared up by Enterprising Entrepreneurs with a goal to make a difference in Information Technology Industry, Solving & Providing the most complex Business System Requirements. We aim to enhance the Lives and Businesses of Companies in all Sectors by providing End-to-End Enterprise Leve l Solutions. We are involved in providing In-House and On-Client-Site ERP for Technological Solutions’ Planning and Implementation, ERP Technical Support, Customized ERP Packages’ Development and Customization, Knowledge Process Outsourcing (KPO), Business Process Outsourcing (BPO), Microsoft Share Point projects Development etc. Posted in Apply online, Computer Science, IT, Job After Btech, Jobs after ME/ MTECH, MCA, ME, Mtech, Without Experience. Tags: August 2010, B tech, B.E, engineers, Fresher Jobs, hiring, M tech, M.E, MCA, Pune/ Mumbai ., Square Solvents on August 5, 2010 by kavita joshi. Posted in Computer Science, Freshers, Job After Btech, Without Experience. Tags: B tech, B.E, Computer Science, engineers, FLEXIELE, Fresher Jobs, gurgaon, June 2010, M tech, Recruiting on June 16, 2010 by kavita joshi. Cyber Media (I) Ltd recruiting B.Tech/ B.E Engineers | Fresher Jobs 2010 in Gurgaon. B.Tech/ B.E Engineers/ MCA required in Cyber Media (I) Ltd, Gurgaon. Posted in Apply online, Computer Science, Freshers, Job After Btech, MCA, Without Experience. Tags: April 2010., B tech, B.E, Cyber Media (I) Ltd, engineers, Fresher Jobs, gurgaon, MCA, Recruiting on April 24, 2010 by kavita joshi.